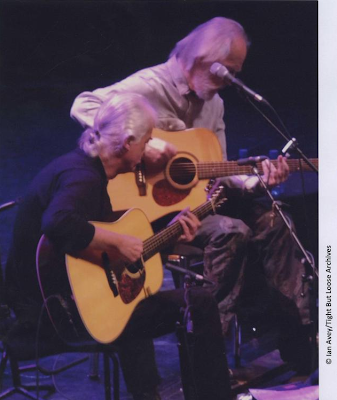 An acoustic guitar played by Led Zeppelin’s Jimmy Page during Roy Harper’s 70th birthday concert at London's Royal Festival Hall in 2011 has been sold at a London entertainment memorabilia auction for £26,250 (approx. $40,000 US). The Martin 'Birthday Special 2007' acoustic guitar was sold by auction house Bonhams on Wednesday, with proceeds benefitting the charity Action for Brazil’s Children Trust, of which Page is a patron. The guitar (serial no. 1151442) label inside body was signed by J.R. Warner and C.F. Martin IV, the fingerboard inlaid with Led Zeppelin and Zodiac symbols and the guitarist's name, was offered in its original hard case together with a signed letter from Jimmy Page and a colour photograph of him playing the guitar at the November 5, 2011 concert. The ABC Trust is dedicated to helping the street children and most vulnerable young people of Brazil. By raising awareness and funding it supports the work of local, community-led organisations which give children the education, support and inspiration that they need to transform their own lives. Other items auctioned by Bonhams included a rare set of handwritten lyrics for “The Jean Genie” signed by David Bowie in 1972, an autographed guitar from AC/DC’s Angus Young, various Beatles and Rolling Stones items, and a lot of historic film memorabilia.